Chernobyl reactor containment area. 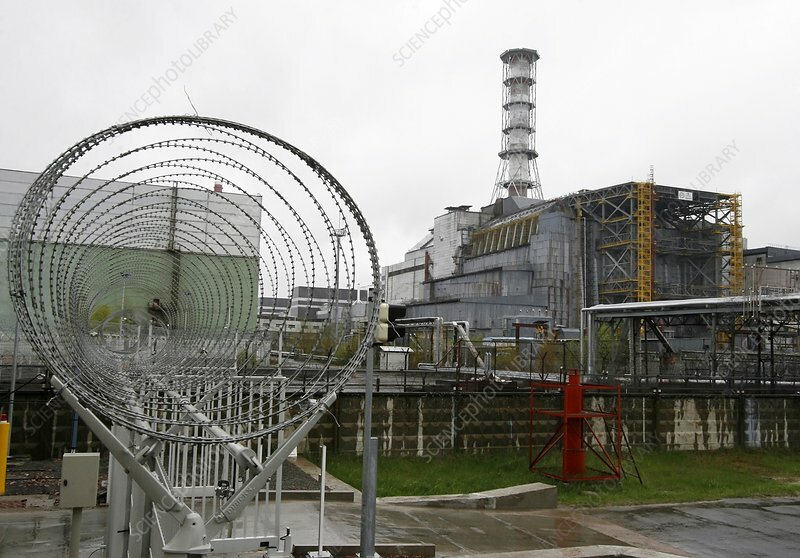 At right is Reactor Number 4 at the Chernobyl nuclear power station, Ukraine, with the concrete sarcophagus that was built around it. On 26 April 1986, this reactor went out of control, leading to meltdown and an explosion. Around 1000 square kilometres of land were directly contaminated by radioactive fall-out. The sarcophagus was built to contain the radioactive materials, but within the restricted area the radiation is still lethal to humans. The material inside the sarcophagus will remain dangerous for thousands of years. Photographed in 2008.